Puran Uninstaller is a free utility that can help to uninstall any software that has been installed on your local machine. It has a Force Uninstall feaure that could help with problematic installations. Uninstall any software with ease. Post uninstall scan for remains. Force Uninstall to remove software not being uninstalled normally. Make an HTML report of all the installed software. Search any installed software online to get more info in a click. 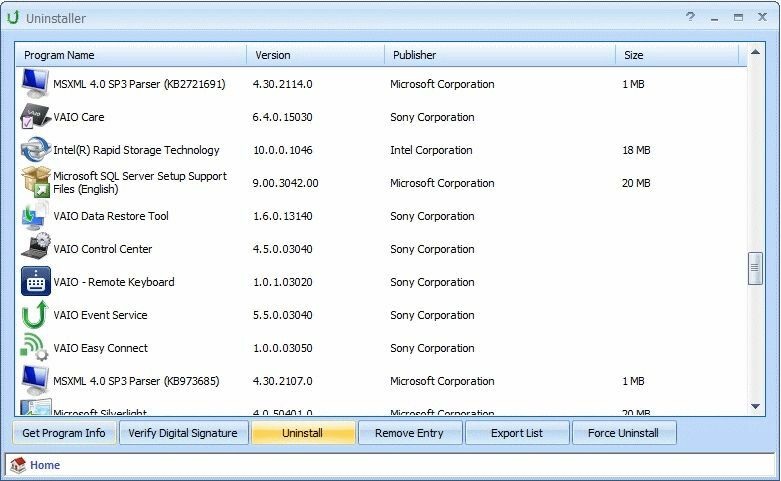 Verify Digital Signatures of the installed software.